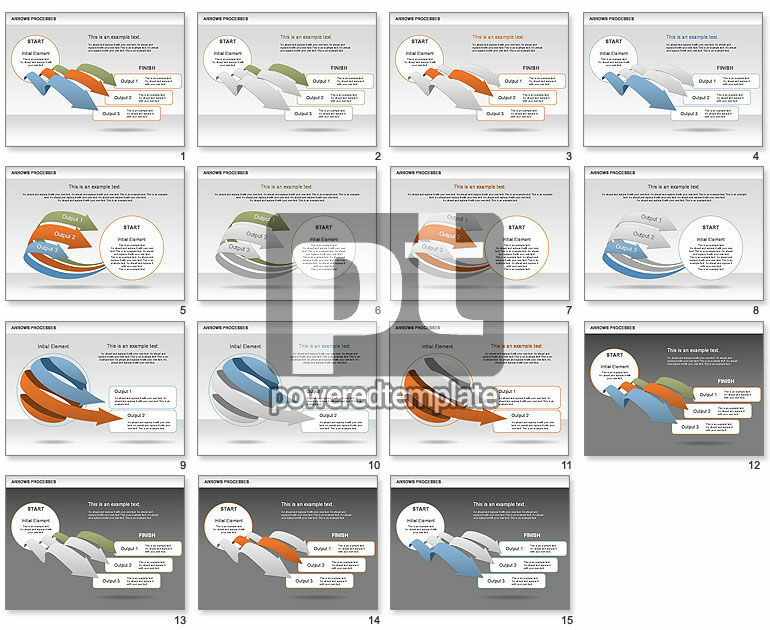 These presentation slides 30373 are complete compatible with Google Slides. Simple download PPTX and open the template in Google Slides. Shapes set with orbed arrows will bring your presentations pressure and dynamics which so needed for modern presentations.